A new exhibition and film are to be launched to commemorate the bravery of Staffordshire soldiers in a pivotal battle of World War One and there’s a chance to get involved by visiting a new website at www.137Staffords.co.uk. Heritage Lottery funding has been won to honour the sacrifices made by Staffordshire soldiers in a battle which became known as “the greatest chapter in Britain’s military history”. 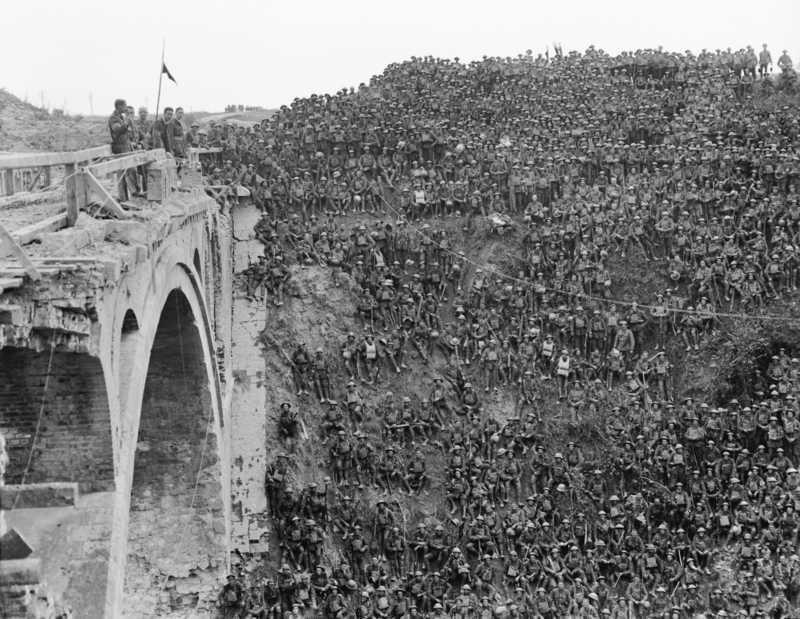 Staffordshire Regiment soldiers were to the fore on September 29th, 1918 as the British forces broke the Hindenburg Line. 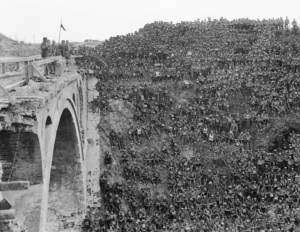 Men from Wolverhampton, Walsall, Burton and North Staffordshire were central to a crucial chapter in the Battle of the St Quentin Canal, breaking the German defences. Germany signed the armistice to end the Great War 43-days later on 11th November, which brought to an end four years of brutal warfare. The Heritage Lottery fund has awarded £10,000 to the Staffordshire Regiment Museum to create an exhibition marking the breaking of the Hindenburg Line. The new military history project will allow current generations of Staffordshire residents to learn about the bravery of soldiers from the former Staffordshire Regiment. Designed to mark the Centenary of the First World War, the project will enable local people in Staffordshire to come together to preserve the memories and heritage of the people who lived through it. Volunteers will help research newspaper clippings, photographs, war diaries and the Regiment archives as well as family tales passed down to help them to build a clear picture of what happened at the battle on September 29th and to find out more about the Staffordshire men involved. Awarded through the Heritage Lottery Fund’s First World War then and now programme (www.hlf.org.uk/looking-funding/our-grant-programmes/first-world-war-then-and-now), the project will focus on the contribution of the 137th Staffordshire Brigade on September 29th 1918. With help from professionals, the information gathered will be digitally recorded and hosted online for people around the world to find out more about the astonishing achievements of the Staffordshire men. The Museum will also work with Staffordshire film-makers, Inspired Film and Video, to produce to produce a documentary film which will be screened at the Museum. A digital resource pack is to be produced and this will be sent to local schools, so that this incredible story of sacrifice and bravery can be preserved and shared with young people across Staffordshire and beyond. The Staffordshire Battalions involved in the battle were the 1st/5th South Staffords – very much a Walsall battalion – and the 1st/6th South Staffords – known as a Wolverhampton battalion. The 1st/6th North Staffords had recruited in Burton-on-Trent but had absorbed a good number of men from the Potteries when the 1st/5th North was broken up in January 1918. Visitors can visit the exhibition at the Staffordshire Regiment Museum in Lichfield from September 29th until early 2019. Please contact Danielle Crozier on 01543 434394. The Staffordshire Regiment Museum is located in Lichfield,Staffordshire. It tells the story of the Staffordshire Regiment (The Prince of Wales’s), its antecedent regiments and its successor regiment, the Mercian Regiment, from 1705 to the present day. The museum is adjacent to DMS Whittington, formerly Whittington Barracks which has been the home of the Staffordshire Regiment’s antecedent regiments since 1881. The museum runs an active schools and events programme and offers a research facility for anyone wishing to learn more about the Regiments service or family members who may have served within her. •	Thanks to National Lottery players, we invest money to help people across the UK explore, enjoy and protect the heritage they care about – from the archaeology under our feet to the historic parks and buildings we love, from precious memories and collections to rare wildlife. www.hlf.org.uk. Follow us on Twitter, Facebook and Instagram and use #NationalLottery and #HLFsupported.